If we managed to interest you in building a house, catering facility, hotel, club house or other application with cedar, please contact us without any obligation. Together with you we will make an inventory of all your wishes and requirements in a Program of Requirements. This will be used as a starting point for your selection from all of our offerings, and will determine your final choice. The moment you have made the decision to go into business with us, and know what the end result should be, the whole process will be initiated. Together with you and/or your architect we will prepare the construction drawings, so you will have your building permit as soon as possible. Whether it is a basic model from our range of products or your own design, we will offer you professional support. Then, on the basis of these construction drawings, a new step will be made in the construction process. Our partner IHC in the United States, selects the best pieces of cedar timber. Next, these pieces are ‘kiln and dried’ (oven), laminated and skilfully sawn to size for our patented construction system, so no saw will have to be used during the final construction. This takes place fast and very accurately. As soon as all parts are made to size, they are packed in containers and shipped. After clearance, we are in possession of your complete final product, and all we have to do is raise it. Even though this can be done quickly, clearly and simply with our unique and patented construction system, we are more than happy to help you in this part of the building process, if you have not hired a contractor yourself. 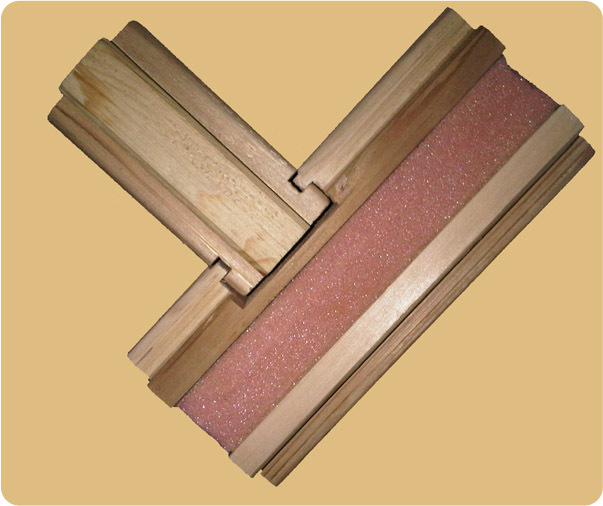 It is very easy to build an Eurologs home. Look for yourself, how two children of the age 9 and 12, build up the Eurologs stand. Of course, you can also build your home yourself. And in those cases we are also more than happy to help you with our expertise. Windows, inside and outside doors, as well as cover fillets. When your home, club house, restaurant or other application is built, it still needs to be finished. Depending on what you want, the timber can be painted with any type of paint that is suitable for timber. We personally prefer paints by Sikkens. If you want, you can also paint the timber in other timber colours, but that is not necessary, as cedar has a wonderful colour and appearance of its own. And then the day will arrive that you have been looking forward to! We will give you the keys of a new and beautiful accommodation. For this purpose, the many links in this process have been working very closely together. 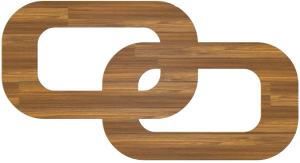 Therefore, as a symbolic gesture, we like to offer you the two links from our logo.